1) Pain. If it hurts, chances are acupuncture can help. Pain management is the one thing everyone knows acupuncture “is good for”. Those tiny needles are great at changing the way your nerve endings talk to your brain and reducing the sensation of pain. They also help calm down the fight or flight of the nervous system leaving you more relaxed and better able to deal with those pesky sensations in your body. 2) Stress. Everyone has it. The challenges of having too many demands on too little time. Balancing the boss, the budget, and the kids’ soccer games can wear on your adrenals and your patience, leaving you frazzled and making your nervous system think it’s facing a fire-breathing dragon on a daily basis. 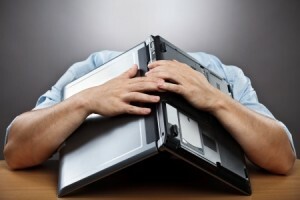 Too much stress can challenge your sleep, digestion, and mood. It’s the root of bad stuff like heart disease and ulcers. The good news is that acupuncture can make your nervous system feel like it is relaxing on the beach with a Mai tai rather than facing that dragon alone. 3) Sports injuries. Whether you’re a weekend warrior, a wannabe NFL player at age 45, or a contender for the Olympic mountain biking team, an injury can put a hitch in your giddy up. If there are no broken bones and it doesn’t need surgery, acupuncture will help you get back in the game faster and with less pain. Are your Physical therapy exercises too painful to manage? Acupuncture can reduce your pain enough so you can do your rehab. Is your chiropractor having difficulty getting that pesky place in your neck to stay mobilized? Acupuncture before your visit will release the spasms in the soft tissue so you get better results from your adjustment. Is the injury a simple muscle pull? Acupuncture is great at releasing tight or spasmed muscles, allowing for better blood circulation and faster healing. 4) Stomach problems. Heartburn. Bloating after eating. That awful feeling when you’ve eaten way too much and everything is plugged up. Acupuncture can help relieve all of these problems and more. Of course, some stomach issues do need a visit to the doctor, but many of these common problems can be relieved with a few tiny needles facilitating communication between your intestines and your brain. 5) Recovery from a cold or flu. While nothing really “cures” a common cold, you’ll suffer a whole lot less if you get acupuncture. Well placed needles can help clogged sinuses drain more effectively, reduce the intensity of a nasty cough, and relieve body aches. And chances are your acupuncturist has an herbal remedy or two which can extend the effects of your treatment and get you back to normal quickly! 6) Sleep. 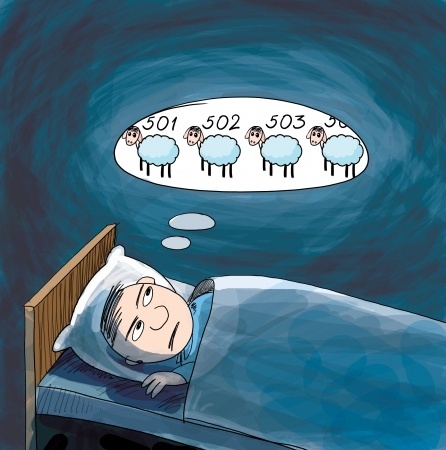 Whether you’re still lying awake after the 200th sheep or whether you just keep on waking up, acupuncture can help put the “z” back in “snooze”. Through it’s action on the sympathetic nervous system, acupuncture can help you fall asleep more easily and stay asleep once you get there! This entry was posted in Acupuncture, Health and Wellness and tagged acupuncture, insomnia, pain relief, sports injuries, stress. Bookmark the permalink.